Are you ready for spring yet? After a winter with severe weather across our state, it feels like it can't come soon enough — but we still have plenty of weather challenges ahead while we wait. 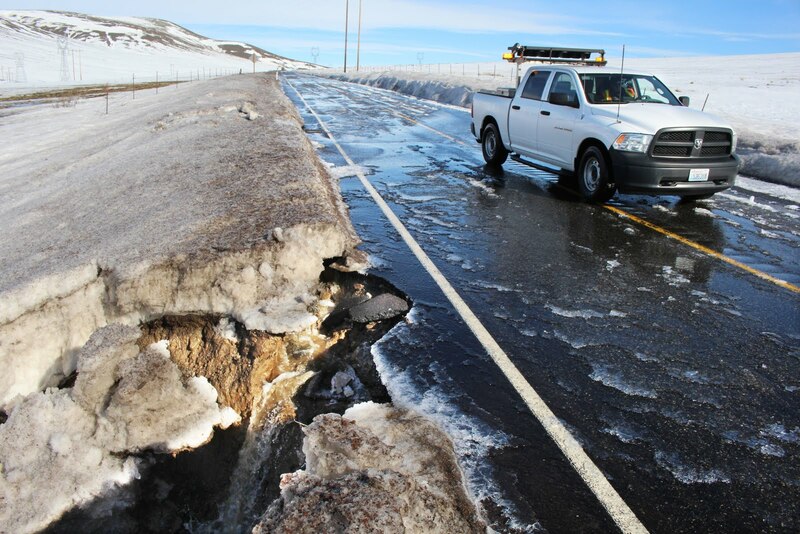 As the weather swings back and forth between winter and spring, it brings certain hazards, including landslides, standing water and sudden potholes along our roadway. Please be aware of these potential hazards when driving and stay extra alert during storms and their aftermath. oversaturate hillsides, creating dangerous conditions for drivers and road workers. these patched but this type of damage can develop quickly. Sometimes an unstable slope will come down during a heavy storm, but it doesn't have to be raining for landslide risk to exist. Often a hillside gives way several days after a storm, when it finally becomes too saturated from the total amount of water it has absorbed. Winds after a rainy spell can also be the final straw that causes trees and slopes to break loose. We've had several landslides in recent weeks, including two on Feb. 16 that blocked parts of Interstate 90 near Issaquah and Interstate 5 near Woodland. Though no one was seriously hurt in either event, they both were dangerous. If you find your roadway blocked by a landslide do not attempt to drive through the debris – it can be more extensive than it looks and the hillside above could still be unstable. If your path is obstructed, call 911 and let them know you're stopped in traffic. After a landslide, our crews first must determine if the slope is stable enough for cleanup efforts to begin – we can't risk putting our crews or the public at risk of more hillside coming down. Once the assessment is complete, we then clear debris and make any repairs, working to reopen roadways as quickly as possible. The wet weather, snow removal and temperature changes can also cause potholes or exacerbate other roadway damage, with water seeping into small cracks, freezing and expanding until it breaks apart the roadway or previous repairs. Our crews work to fill those as soon as we can — including overnight work to keep major roadways accessible — but a large pothole can develop suddenly, and it can be a challenge to keep on top of them. In addition, the "cold patch" we use during this weather is a temporary fix until we can make permanent repairs during dry, warm summer months. That means we can sometimes fix a pothole only to have it reappear again – so we ask everyone to be alert and aware while driving and also thank you for your patience during our repairs. 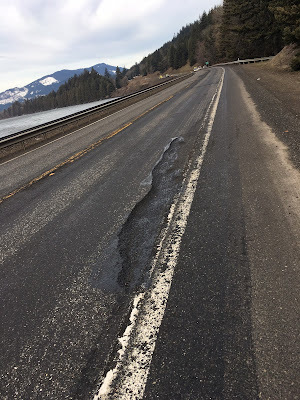 to the roads themselves, such as this issue on SR 241 east of Yakima. Heavy rains can also lead to standing water on roadways. We design our roadways to prevent standing water as much as possible, but storm drains or catch basins can be blocked by debris. Our crews are always on the lookout for such problems and respond to them quickly, but please be aware of potential standing water during rainy weather. If a roadway is flooded please do not drive through the water, it only takes a couple of inches of water to float a vehicle. And never drive around road closure or flooding signs — they are there for your protection and safety. If you find yourself stopped on a roadway due to a landslide, damage to your vehicle or standing water, please be extra cautious and call 911. Emergency dispatchers can alert both law enforcement and our employees, so that's the quickest way to alert road crews to a sudden hazard. If possible, try to get to the side of a road. If you can't move out of traffic, make that immediately clear to 911 dispatchers. Please do not get out of your vehicle unless there's an additional safety risk of staying inside, and then move as quickly as possible to the side of the road and behind a barrier if possible. As always, be extra alert if walking on or near roadways and use your own best judgment of the situation — we want everyone to make it home safely each night. 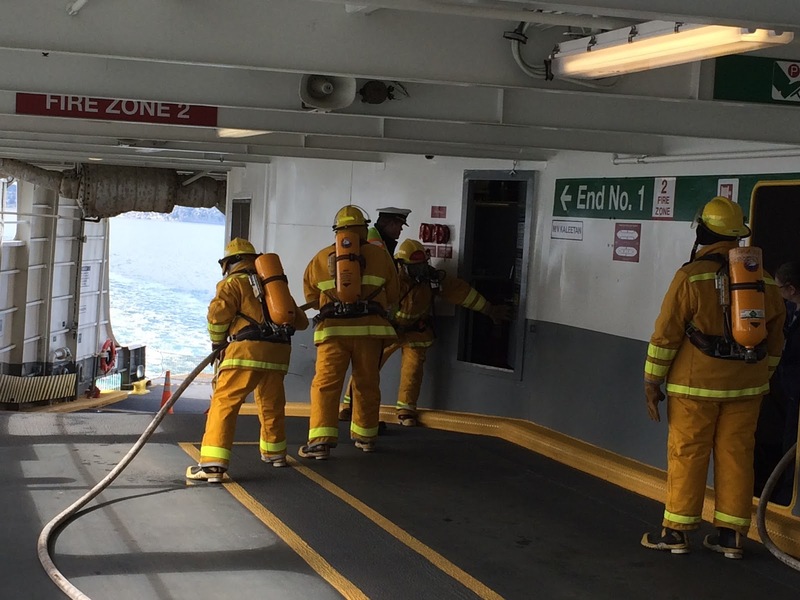 Most passengers aboard our ferries would never guess the person loading their car can also fight fires and save lives, but it's true. Every crewmember is trained in first aid/CPR and firefighting and while we hope our passengers never find themselves in a scary situation, if they do, we have highly trained employees to assist. In fact, in 2016 our crew and staff provided emergency aid and assistance in 116 events. Crew members practice firefighting skills during a routine training drill. Some of these incidents are particularly serious. When workers respond to those emergencies, we recognize them with the Life Ring award, a top honor bestowed by the ferry system. The award goes to those who directly contribute to saving lives and in 2016, 18 of our employees received the honor for stepping up in a time of need. On Feb.17, Gov. Inslee heard from our Life Ring awardees and presented them with a "Washingtonian of the day" certificate. 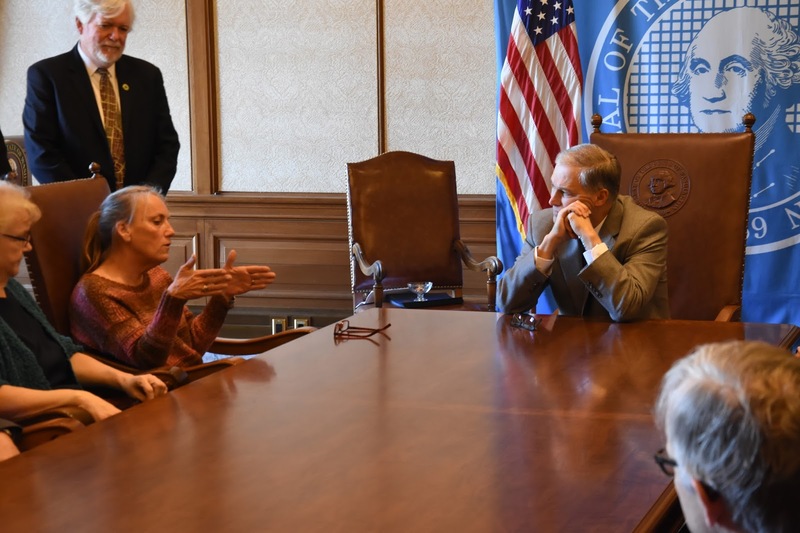 Employees shared with Inslee lifesaving stories ranging from rescuing kayakers to performing CPR on passengers to evacuating an unconscious crewmember via lifeboat to shore. On shore, our terminal employees coordinate emergency logistics and assist passengers who become ill before boarding. This is the first year that terminal employees were recognized for their actions alongside crewmembers. life-saving story with Gov. Inslee. Life Rings were only awarded to vessel crew until 2016. In each case, our employees acted quickly and put their training to good use. And while most of our award recipients say their actions are just part of their job, we also know they are pretty remarkable actions. Paula Abel, Lee Burris, Vera Crocker, Leonard Delong, Patrick Eakes, Charles Leahey, James Lesh, John Lohrey, John McMillen, Joel Michelson, Marsha Morse, Sara Newton, James O'Neill, Pamela Peckham, Ronald Pence, Mark Savio, Brad Sloman, and Gregory Smith. and Assistant Secretary of Washington State Ferries, Amy Scarton (far right) in Gov. Inslee's office. 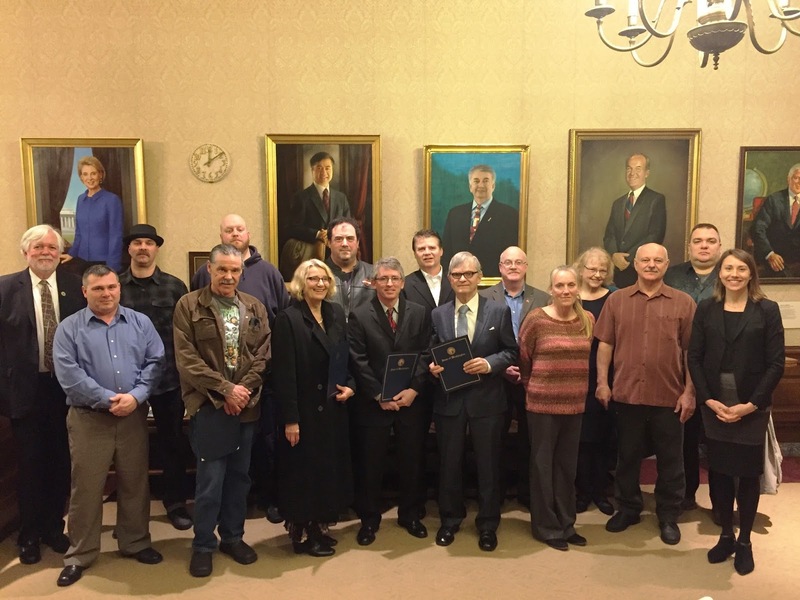 We are so proud of our crews for what they do each day to keep passengers safe and it was a great honor for them to be recognized by the governor. The next time you're on a ferry, be sure to say thank you to the crew! We want to shine some light on the visibility challenges we face on I-90 Snoqualmie Pass, what we are doing differently and how you can help. New barrier reflectors along I-90 Snoqualmie Pass should improve visibility at night and during poor weather. Crews work to repaint the lines along I-90 Snoqualmie Pass. The first challenge is keeping lane stripes from fading. We have tried several different striping products but we can’t find anything durable enough to withstand the wear and tear from traffic and snow removal operations. Even the most durable products lose reflectivity quickly, leading to limited guidance at night. The second challenge is freezing temperatures. The liquid deicer we use to treat the road stops working when the temperature dips below 20 degrees. The next best thing to use is sand. Although sand helps with traction in icy conditions, it also acts like sand paper and grinds away the lane stripes. It also sticks to everything, including the barrier and reflectors reducing visibility. The third challenge is the narrow roadway due to the widening project between Hyak and Keechelus Dam. Building a new six-lane highway between a hillside and a lake while keeping four lanes open limits the amount of room we have to work. So we have to shift traffic through the construction zone onto finished sections and temporary sections of roadway, which causes the roadway to be narrow. will help visibility for drivers on the highway. What makes this winter different is all three of these challenges are occurring at the same time. The winter of 2015 was the first time we implemented the construction detour and it ended up being one of the driest winters on record. Last winter, we received an average amount of snowfall; however, the temperatures remained around 32 degrees most of the season. This year we have seen weeks when the temperature has dipped into the low teens and single digits. We have even had a number of ice storms requiring the use of more sand. What has worked in the past to improve visibility isn’t working now and we are adapting. 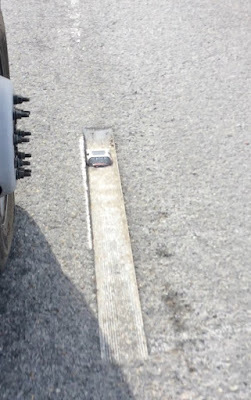 In previous winters, we were able to reapply lane striping when there was a break in the weather. But this winter we’ve had back-to-back storms, making it difficult to restripe. So we are trying some different things to improve visibility. 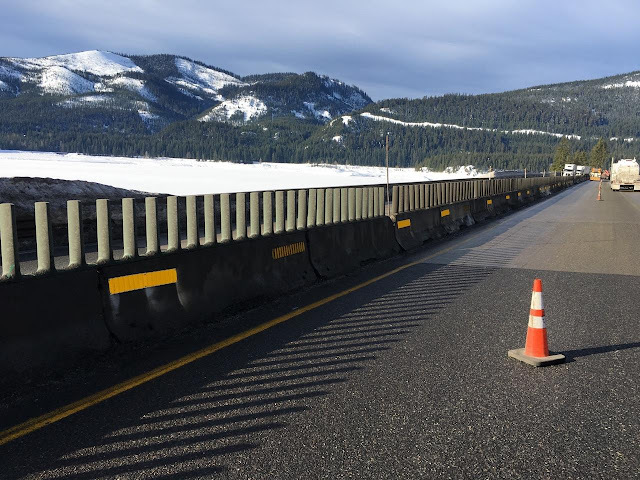 Over the next several weeks and as weather allows you may encounter nighttime closures between mileposts 57 to 62 as we install additional reflectors along the barriers and place solar-powered LED lane markers in the roadway. Don’t worry, the LEDs will be secured into place with a metal peg and epoxy so they won’t pop out of place when run over by vehicles or snowplows. We are also removing built-up ice from the shoulders and cleaning the sand off the barrier reflectors. We’ll be adding portable lights to improve visibility and will restripe as weather allows. If the stripes start to fade and we cannot restripe immediately, we will reduce the speed limit to 45 mph at night to help drivers navigate safely through the narrow lanes. Some of this work has already happened as we’ve added new striping and cleaned off the sand and grime from reflectors. Now that you have read about the challenges we face and the improvements we are making, we need your help. Please drive for conditions by paying attention and slowing down. If you are driving through an active work zone or around snow plows, be sure to give crews space and lower your speed. You are driving across a mountain pass where weather can change rapidly in the winter so stay plugged in to conditions. Every collision is avoidable as long as you slow down and keep your eyes on the road to see the improvements we have made to help you get to your destination safely. You just might catch a sneak peek of Amtrak Cascades' future this month as we test a new state-of-the-art locomotive along our route. We've been selected to conduct the national certification testing of the new Siemens Charger locomotives. That means one of the sleek, high-tech machines will be traveling up and down the Amtrak Cascades corridor a couple of different times this month. We're buying eight of the Charger locomotives as part of a multi-state procurement and these tests will certify the locomotives for use across the nation. 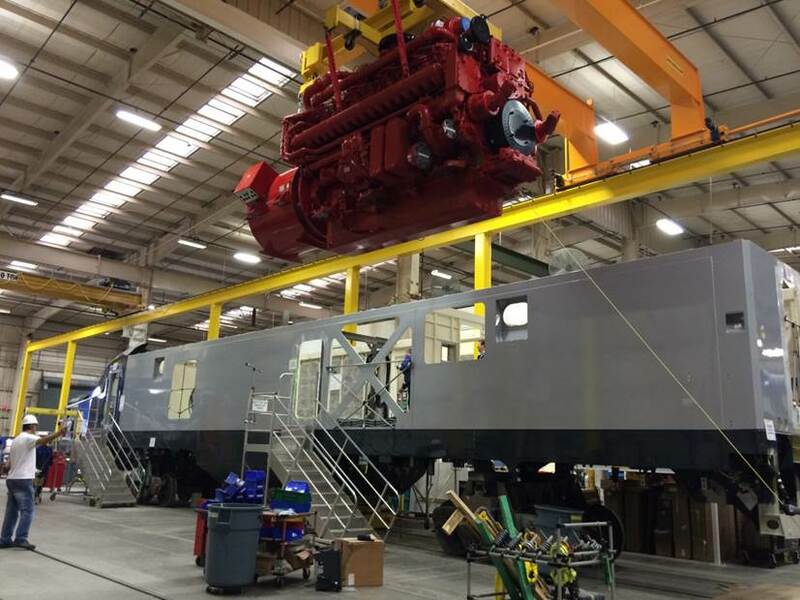 Just as importantly, this work moves us one step closer to using the new locomotives on our Amtrak Cascades passenger train routes. (We, along with the Oregon Department of Transportation run the Amtrak Cascades service). to certify them for national use. We’ll receive eight of these machines this spring for our Amtrak Cascades line. The tests are essentially a large-scale test drive. The locomotive, attached to an Amtrak Cascades trainset, will travel various sections of our existing Vancouver, British Columbia to Eugene, Oregon corridor. No passengers will be on board, but Amtrak and Siemens staff will be on hand to test and monitor how the locomotive operates. Previous tests were conducted in a special closed-track facility in Colorado, but the Washington tests put the locomotive on active tracks for the first time. Why is Washington conducting these tests? We've been recognized by the Federal Railroad Administration for our progress on our $800 million federally funded Cascades High-Speed Rail program, and we also had necessary contracts in place to allow the testing to happen. We're honored and excited about getting some early experience with the new machines. These "next generation" locomotives will have higher acceleration rates and top speeds, on-board positive train control safety features designed to automatically control train speeds and movements if an operator fails to take appropriate action, and greater reliability. The 4,400-horse power engines also meet new, stringent emissions standards, making them better for our environment. For now our trains will continue to run at 79 mph, but the locomotives give us options for faster speeds in the future. and meet new, stringent emission standards. Our eight locomotives are currently under construction in California, so we're using a new Illinois locomotive for the testing. 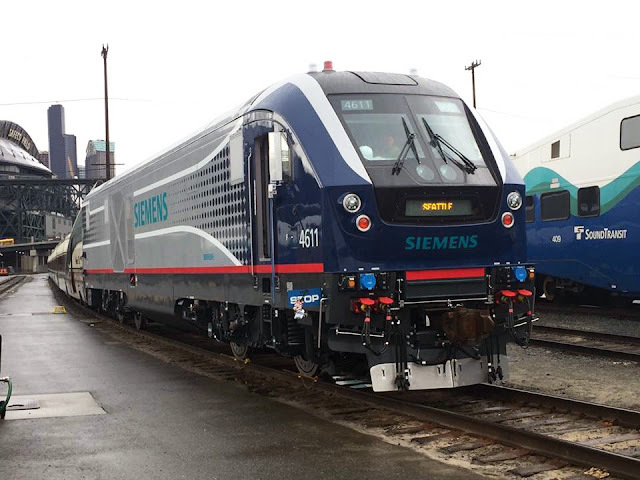 This locomotive will have generic Siemens designs on it. Our new locomotives will sport a new Amtrak Cascades-specific design, which will be unveiled in early April. Combined with the rest of the rail improvement work we've done along the corridor, the new locomotives will help us add two more daily Amtrak Cascades roundtrips between Seattle and Portland while reducing the travel time and improving on-time reliability. The new service will begin this fall. Until then, keep your eyes peeled for the Charger during the next few weeks, as well as news about when our new locomotives will arrive in April. Why do we close the Hood Canal Bridge during powerful weather? When you drive cross the Hood Canal Bridge, we want you to do so with the confidence that knowledgeable and skilled crews are ensuring the bridge is safe and operational. When inclement weather hits western Washington, we pay particular attention to our floating bridges. The SR 104 Hood Canal Bridge is unlike our other floating bridges like I-90 and SR 520 in Seattle because they cross a lake and are not subject to tidal forces. Not only is the Hood Canal Bridge subject to the daily stresses of tidal swings, but in bad weather fierce winds and wind directions intensify those water forces being exerted on the bridge. The pressure is strong enough that it could damage key components of the bridge, especially in the center of the bridge where the bridge's movable parts operate the drawspan. This video shot from the Hood Canal Bridge control tower shows the violent shaking that occurred during a powerful windstorm. Notice that once the drawspan opened, the shaking stopped as it relieved pressure on the bridge. When do we close the Hood Canal Bridge? We watch winds closely at the Hood Canal Bridge and use automated systems to inform us when wind speeds are on the upswing. When winds reach or exceed 40 mph for 15 minutes or longer, our crews consider closing the bridge to traffic and opening the drawspan to relieve pressure on the bridge. Strong tides, wind directions and driver behavior also play a role in their decision. If drivers of high-profile vehicles like semis and box trucks are being buffeted by wind and waves, it's time to consider closing the bridge. We never take that decision lightly, as we are very aware of how critical the Hood Canal Bridge is to businesses, residents and communities, but we believe public safety must come first. We have key equipment that monitors wind conditions of the bridge. Our crews see real-time wind speed, peak gusts, and direction. When winds pick up, they monitor conditions closely from the control tower and stand ready to respond. Why can't you tell me when the bridge will reopen? While we regularly check weather forecasts, it is extremely difficult to pinpoint when the weather will calm down. The decision on when to reopen the bridge to traffic is based on real-time conditions. We need to make sure the severe weather is behind us or we face the possibility of damage to the structure. During high winds, it also can be very difficult to close the drawspan. Since both ends are being pushed by wind and tides, it could be compared to trying to thread a needle while your hands are shaking. "But the wind is not that bad!" We often hear that comment from frustrated drivers waiting for the bridge to reopen. While that may be the case on shore, it may not be the case on the bridge. Topography is key. Areas of the shore can be sheltered, but the Hood Canal Bridge has no windbreaks. Consider the force of winds and waves on that expansive open water. We want to emphasize that we understand the importance of the Hood Canal Bridge. It is the only span between the Kitsap and Olympic Peninsulas. We also understand that the alternative is to drive a long way around the canal via Mason County. Our job is to help people move about our state. That allows people to get to their girls basketball game, get home from work, or do business. We want you to be able to get where you are going. At the same time, we need to protect this vital link. Drivers can receive up-to-date Hood Canal Bridge information through several resources. Advance notification does not occur for passage of marine vessels associated with the Department of Defense. have occurred aboard WSF since 2011. Every day, more than 66,000 people take a ride on a Washington State Ferry. Sometimes Cupid rides with them, arrows fly and the next thing we know they fall in love. It is almost Valentine’s Day and we can’t think of anything more romantic than falling in love aboard a ferry. And when the time comes to walk down the aisle, we’re there for you too. 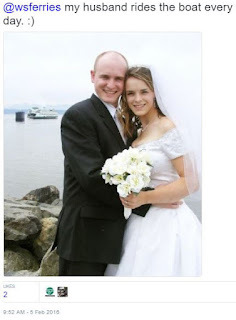 In fact, lots of couples have been married aboard WSF! husband at the Kingston ferry terminal. Plan to bring your own officiant. While the captain calls the shots on the ship, she or he isn’t legally allowed to perform a wedding ceremony so make sure you bring along someone who can. No outside caterers are allowed for ceremonies, same goes for alcoholic beverages, though we have a great selection of delectable drinks and snacks for sale in the galley. All of our sailings – even those you’re getting hitched on – are open to the public. If your idea of the perfect wedding doesn’t include random strangers potentially photo bombing your group, consider a smaller wedding during non-commute hours. You can get more information about celebrating events like weddings and birthdays on our special occasions page. Romance blooms aboard M/V Walla Walla in the San Juan Islands. Finally, before you start planning your big day, there’s one big step you’ve got to take, the engagement! With spectacular views of the Pacific Northwest from the deck (maybe you’ll even spot an orca or two! ), proposing aboard a ferry is a great way to set a romantic mood. 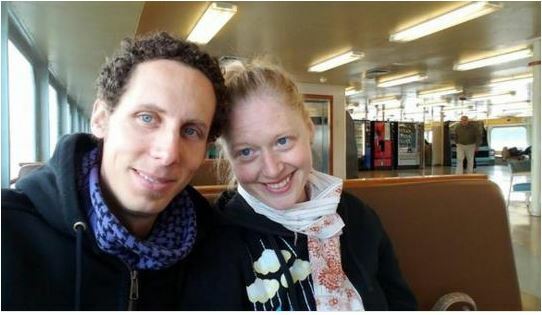 Leave us a comment here or email your Valentine’s Day ferry engagement requests to WSFComms@wsdot.wa.gov. 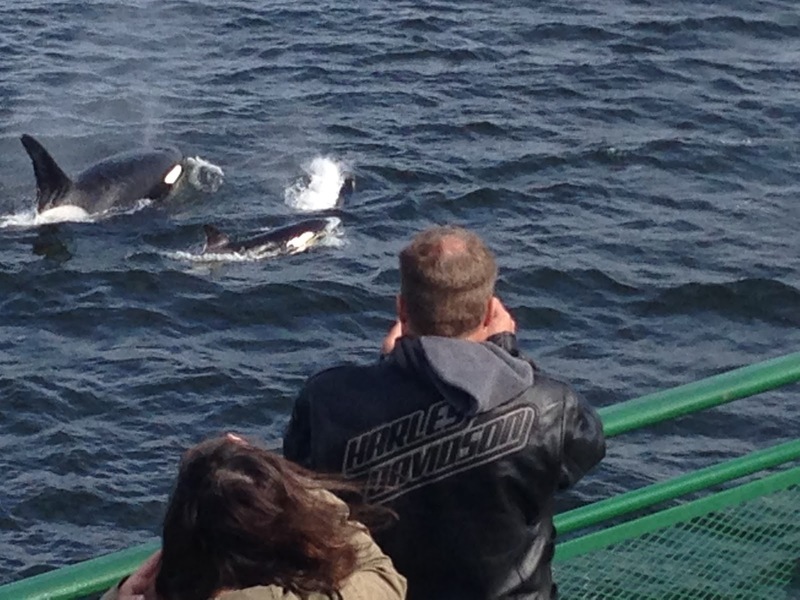 Majestic resident orcas put on a show for ferry riders. Most highways have reopened following a significant snow storm that moved into western Washington on Sunday, Feb. 5. While snow continues to fall in some places, including our mountain passes, our crews were able to reopen most areas that had been closed because of excessive snow or downed trees. Drivers should be prepared for winter driving conditions including ice, slush and compact snow on the roadways. If you must travel, be sure you and your vehicle are prepared and stay updated on conditions by tuning in to media broadcasts and checking our travel alerts page. Here are the closures that remain as of 11:30 a.m. Feb. 6. Updates will continue throughout the day and will be labeled "UPDATE" with a time and date. When a road reopens or situation is cleared, that will be indicated with "REOPENED," "DONE" or "CLEARED." REOPENED: Slide blocking all lanes on SR 4 both directions at milepost 28 near Wold Road. SR 542 Deming: UPDATE 2/6 3:15 p.m. : SR 542 is not anticipated to open until tomorrow. Both directions of SR 542 at the Coal Creek Bridge (milepost 36) are closed due to downed trees and heavy snow. REOPENED: SR 546 Lynden/Sumas - Both directions of SR 546 from SR 539 (milepost 0) to SR 9 (milepost 8) are closed due to snow and downed trees. There is no estimate for the roadway reopening. REOPENED: SR 9 Sumas - Both directions of SR 9 from Morgan Rd (MP 95) to Garfield St (MP 98) are closed due to heavy snow, wind and trees on the roadway. Our maintenance staff is currently on its winter schedule and regularly is applying treatment to roads susceptible to ice and snow plows are clearing roadways. That said, heavy snow has closed passes so stay updated on our website. Conditions are constantly changing on I-90 over Snoqualmie Pass so be sure to check the website for the latest information. 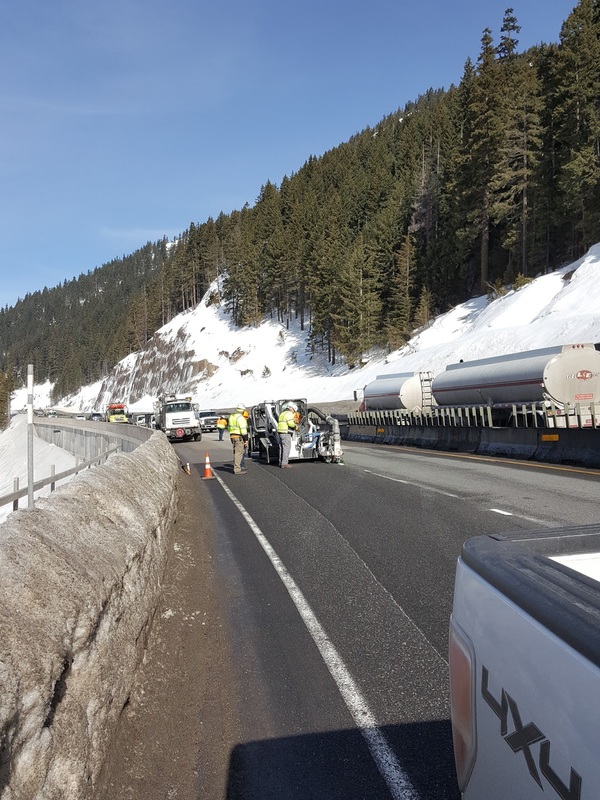 REOPENED: I-90 Snoqualmie Pass I-90 is expected to reopen around 2 p.m. Avalanche control work has been completed and crews are clearing the snow from the roadway. REOPENED: Both directions of I-90 are closed between North Bend (milepost 34) and Ellensburg (milepost 106) due to high avalanche danger on Snoqualmie Pass.